What with the consistent flurry of news reporting on unemployment rates and high retrenchment numbers, many are left to wonder which area would be the safer option to place their hopes on for a stable career. 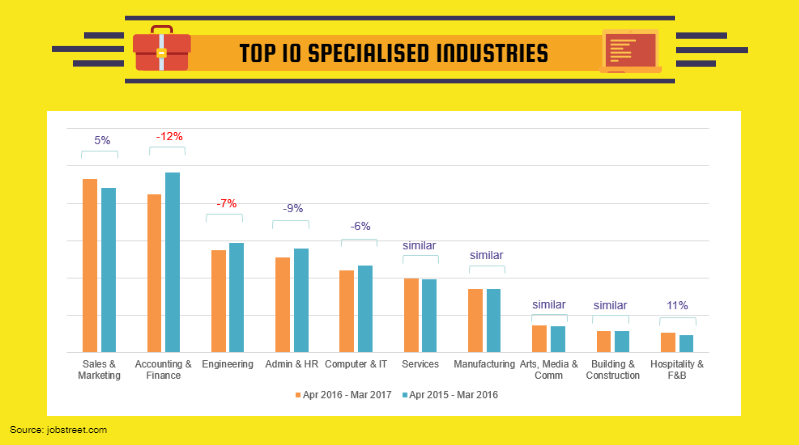 In a report shared by Jobstreet, there were a few statistics highlighting the different industries and specialised areas that are gaining more attention from employers when it comes to hiring as well as the areas which are slowly seeing a reduction compared to previous years. We break down the report and show which job industries are seeing demand, remaining in a stagnant state, and seeing a decrease for 2017. Based on statistics provided by Jobstreet. Contrary to some reports citing a lack of demand when it comes to hiring new employees, Jobstreet shared statistics showing that 84% of employers were looking to hire for 2017 with 54% from that number saying they would be only replacing or filling in essential positions. 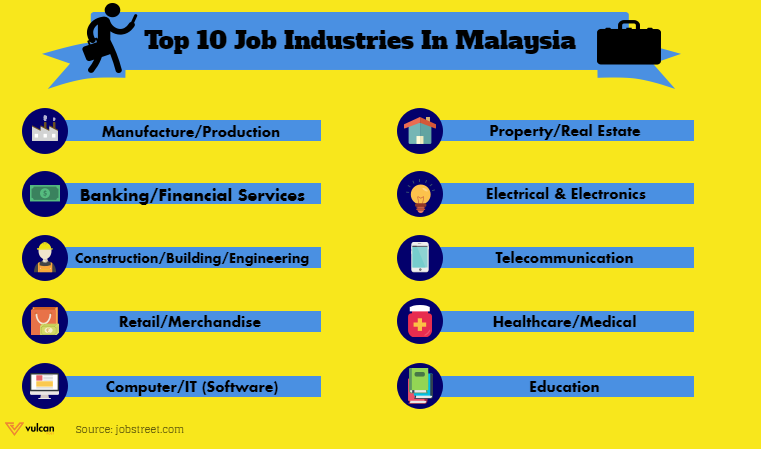 Though the top 10 industries are as shown in the figure above, there is a difference in terms of percentage based on demand shown through the number of job postings done for each of these areas. Property/Real Estate with a rise of 3%. Healthcare/Medical with a rise of 3%. Transportation/Logistics with a rise of 1%. Food & Beverage/Catering/Restaurant with a rise of 7%. Hotel/Hospitality with a rise of 8%. This ties in with observations made by parties stating that the hospitality and tourism sector will see a boom in terms of employment this year along with the property and real estate scene that has been said by experts to flourish well in Asia. Oil/Gas/Petroleum with a decrease of 21%. Advertising/Marketing/Promotion/PR with a decrease of 17%. Banking/Financial Services with a decrease of 10%. Construction/Building/Engineering with a decrease of 9%. Automobile/Automotive Ancillary/Vehicle with a decrease of 7%. Financial services has seen a hit in terms of employment, with almost 20,000 being let go last year due to the expansion of financial technology. Many banks had to resort to closing their branch offices as consumers begin shifting to more advanced means such as online banking and e-wallets. The Oil and Gas sector already faced a decline with Petronas laying off over 1,000 employees, mostly contract workers, due to the volatility in the prices of petroleum. The manufacturing sector is said to face a similar scenario, especially after The Malaysian Trades Union Congress shared that Penang laid off 2,000 workers in the manufacturing sector. Data from Department of Statistics Malaysia has shown that the increase in the number of employees in manufacturing remains small, but productivity saw a rather big jump. ManpowerGroup, a human resource consulting firm, claims this is due to the rise in automation—an apparent effect of the Fourth Industrial Revolution. Specialisation refers to the process of focusing one’s occupational concentration on a specific area of expertise. When it comes to this, statistics from Jobstreet have shown that there is also a decrease and increase for certain areas. There are only three areas of expertise that saw an increase, which are Sales & Marketing, Hospitality, and Food & Beverage. Meanwhile, Accounting & Finance had seen a double digit drop, going down 12% followed by Engineering which sees a 7% decrease. The other specialisations shows a stable state compared to last year. 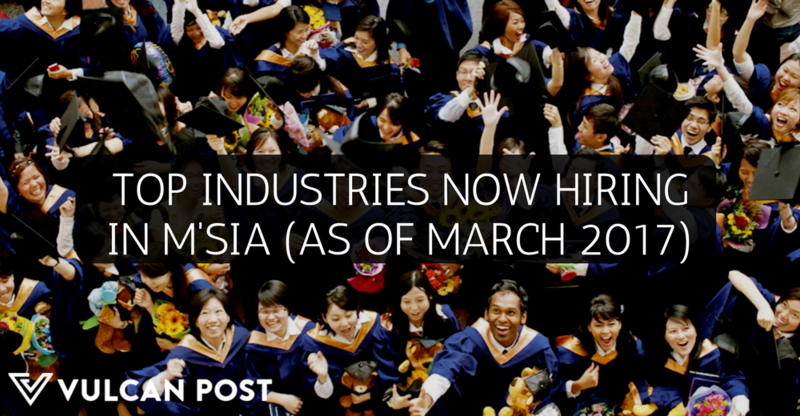 In Jobstreet’s report, they also highlighted the younger generation facing a harder time as the overall job demand for fresh graduates dropped by 9% for specialisation due to the current economic situation. Out of the 10 specialised areas as shown above, only two areas still show high demand for fresh graduates which are Services (an increase of 16%) and Admin & HR (an increase of 15%). So What Can Employees Predict Happening? Based on the statistics, a few observations can be made. It seems that jobs which cannot be done by robots or artificial intelligence are the ones that will be in constant demand. This includes traditional white-collar jobs (medical, legal and financial) and IT-related jobs, including content creators, data scientists and IT professionals. Roles that are non-revenue or can be automated are at risk as employers may be considering removal to save cost. It’s safe to say that almost every occupation out there is or will be impacted by the Fourth Industrial Revolution along with the state of the economy. The roles in every industry are ever changing faster than we realise so it has become a dangerous time to just sit idly when computerisation and digitisation creep up on us. Job-hunters should now focus on equipping themselves with the right skills and knowledge needed in their respective industries. With machines and AI robots becoming competitors, it’s crucial for employees to upskill, reskill and even multi-skill if they wish to remain market-worthy, especially when employers are looking at opportunities to cut costs.